If you can’t access some websites in Ghana, you might need a VPN service. One that works well in Ghana and is fast. We’ve reviewed 150 different VPN companies over five years, and here are the five best we’ve picked, based on this. 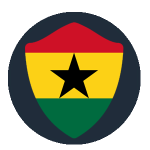 Here they are, our carefully chosen picks for a great Ghanaian VPN. There are hundreds of VPNs, but not all of them cater to the African market. Almost none have facilities in Ghana. We’ve tracked down the few that do and provide you with a Ghana IP address. These are world-class VPNs that will help you defeat internet threats and blocks wherever you go, not just in Ghana. 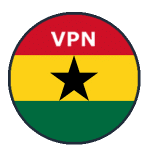 Our list of the five best VPNs for Ghana will help you narrow down your search for internet privacy. Keep reading the below points to find out why using a VPN is important. Furthermore, we highlight the effects of Italian laws on privacy and security. As you travel around Ghana, you’ll find that internet availability is made more prevalent by WiFi. You can connect to WiFi hotspots in hotels, cafés and transport hubs. However, these hotspots create a security risk. Most people don’t investigate WiFi hotspots too closely. You get to a place, such as an airport, or a bus station, and check for available networks to get you onto the internet for free. When you see one that looks like it’s run by the establishment and has “Free” in the name, you connect immediately. No one goes to the manager of the place they’re in to ask if that WiFi hotspot is official. Sadly, they’re often not. 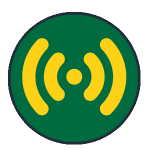 Anyone with a smartphone, laptop, or tablet can set up a WiFi hotspot. The WiFi snooper doesn’t even need to open their own WiFi access account. The outbound traffic from that fake hotspot just channels over the original WiFi that the establishment has provided. This type of hack is called a “man in the middle” attack. The snooper sits between you and an internet access point. When you connect to a fake WiFi hotspot, your computer negotiates encryption keys. These are supposed to protect your traffic as it travels between you and the WiFi router. However, the computer operating the fake hotspot gives your device the encryption key. 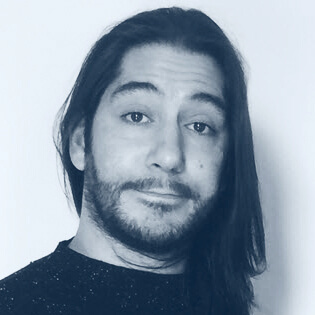 Thus the snooper can decrypt and read everything that passes over the connection. Computer programs handle all of these actions. The snooper doesn’t sit there and read every piece of information that leaves your computer. Instead, the fake hotspot software manages and monitors your internet traffic. It enables the hacker to reap personal information for identity theft. They can even replace incoming websites with fake versions in order to harvest your login and bank account details. There have been no recent reports of internet censorship in Ghana. The government’s last major censorship attempt was back in 2002, and it heavily censored reports on tribal unrest in rural areas. Social media sites are popular and freely available in Ghana. Furthermore, internet telephony and chat applications, such as Skype, WhatsApp, and Signal, are free from government interference. Another problem you may face is access to overseas entertainment. It is not an issue that the government of Ghana created. Instead, video streaming sites prevent access to their content from overseas because of copyright issues. You can use a Virtual Private Network (VPN) to solve WiFi security and overseas video access problems. A VPN creates extra encryption on your connections, which keeps your data private. You also get to evade access restrictions on foreign sites, because you can appear to be in a different location. A VPN system has two parts. There is a VPN client that runs on your device, and a VPN server that manages your connections. The client encrypts your communications with a key that only the VPN server knows. Your traffic goes via the VPN server, which decrypts the encryption and sends the outgoing requests on to the internet. Replies to those requests go to the VPN server, not straight to your computer. That server encrypts everything and sends it to the client software on your computer. The client software won’t accept incoming messages from any computer other than its corresponding VPN server. The extra layer of encryption the two VPN elements coordinate defeats man-in-the-middle snoopers. You don’t need to worry about hackers hijacking the encryption between your computer and a WiFi router. Snoopers will be able to unravel the local WiFi encryption, but will then be faced with a message protected by another layer of uncrackable encryption, courtesy of the VPN. Your traffic going through the VPN server has another benefit. It means you can use that server to pretend to be in another country. Thus you can give TV sites the VPN server’s address and not yours. 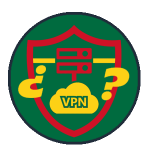 If you are new to VPNs and would like to know more about what a VPN is and how they work, check out our Beginners Guide to VPNs. Video websites only deliver content to certain countries. In some cases, such as DSTV, you can watch the services while you’re out of your home country. Unfortunately, you don’t get access to your home service – you get the local version instead. However, if you select a VPN server in your home country, you can log into all of the TV stations back home. That’s because those TV servers will deliver the content that is allowed in the location of the VPN server, not the country where you actually are. 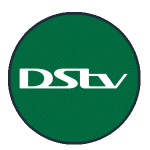 If you have a subscription to DSTV Compact, DSTV Compact Plus, or DSTV Premium, you can access the service over the internet wherever you are through the DSTV Now website. This online version of DSTV is only available to those who have a subscription. You can pick up DSTV Now anywhere that the company has a service, which is just about the whole of Africa, including Ghana. Unfortunately, you get directed to the version of DSTV that is available in the country you’re in. Therefore, if you have DSTV at home in South Africa or Nigeria, and then travel to Ghana, you can watch DSTV Now, but you’ll get the version for Ghana. Many of the shows that you enjoy on DSTV at home are also available on the Ghanaian version, but not all of them. You can get past this problem by choosing a VPN with a server in your home country. If you live in South Africa, you’re in luck – all of the VPNs on our list have servers there. For other countries in Africa, read through the server list for each of the VPNs on our top five to make sure that they have servers in your country. We’ve ordered our VPN recommendations so that the provider with the most locations in Africa is top of the list. If you travel outside of Africa, you’ll find that access to DSTV Now is completely blocked. Keep that VPN subscription going, though. That way, whether you fly to London, New York, or anywhere else, you can still trick the DSTV server into thinking that you’re back home, by selecting the right VPN server location. Ghana is growing rapidly and offers many opportunities. Unfortunately, you need to make sure that you don’t get scammed while you’re there. Con-artists are always among the first to exploit new technology for gain. Fake WiFi hotspots offer one of the most accessible routes for tech-savvy data thieves to get at your personal information. 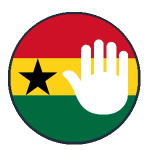 Get around the access restrictions at sites such as Amazon Prime, DSTV, and Netflix with a VPN when in Ghana. Keep in touch with home TV wherever you travel, even when you leave Africa and travel to far-flung places. For more information about on how to unblock Netflix and Amazon Prime see our VPN Netflix and VPN Amazon Prime guides. 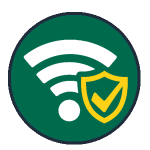 Keep up with internet technology and keep your internet access open and safe with a VPN.